Our dietary supplement Natural Pain Relief is the result of many years’ research into palmitoylethanolamide. 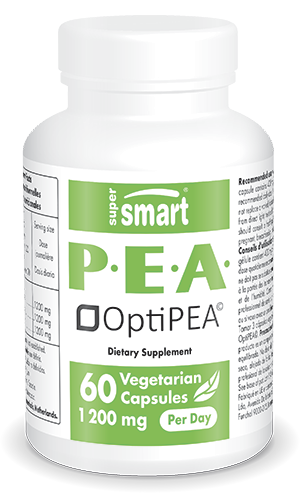 More commonly-known as PEA, this compound’s considerable therapeutic potential has made it the subject of numerous scientific studies. The anti-inflammatory and analgesic properties of this fatty acid amide have been known for decades but it was in 1990 that its therapeutic benefits were properly recognised by the scientific community as a result of the work of Italian Nobel Laureate Rita Levi-Montalcini. This famous neurologist demonstrated PEA’s efficacy in treating some types of neuropathic pain. Further research then led to the development of PEA-based nutritional supplements. These products have been available since 2010 in the form of powder or capsules and have made quite an impact in the Netherlands where they are offered as a new kind of natural pain relief.